Help everyone breathe easier. 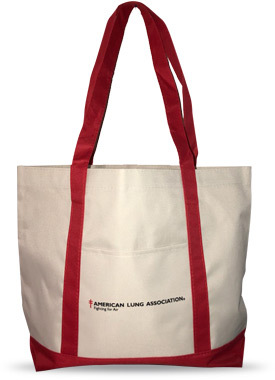 With your monthly donation during Giving Week, we’ll send you an exclusive American Lung Association tote bag to thank you for being an ally in the fight for healthy lungs and clean air. Tote offer expires April 30, 2019. lease allow 3–4 weeks for delivery. Totes can only be shipped to U.S. addresses.